Artwork © 1997 by JenJai. Celebrating twenty-five years of oceanfront fun! Beach Blanket Beledi is an annual seminar and dance party held in Nags Head, NC, on Columbus Day weekend. The twenty-fifth annual event is on October 11-12, 2019. The focus of Beach Blanket Beledi is that dance is serious fun. The emphasis is on creativity, exploration, and innovation. For more information, go to: Classes, Dance Party, Schedule, Location, Cost, Registration. Beach Blanket Beledi offers three instructors in three different, but often complementary, subjects that are guaranteed to pique your interest and expand your dance horizons. Cassandra Shore began performing Middle Eastern dance in 1975, as a student of Jamila Salimpour, and quickly became one of the most popular and respected performers in the San Francisco Bay area. Her intensity, musicality and technique set her apart from the average performer. Cassandra brings to dance lyrical grace, musical focus, and a sensuous quality of movement that brings mere technique to life. As Artistic Director of Jawaahir Dance Company, Cassandra has been involved in the study, performance, and production of dance of the Arabic- speaking world since 1975. She opened The Cassandra School in Minneapolis in 1978. She began research trips to North Africa and the eastern Mediterranean in 1981; that research continues, with invitations to teach and perform in Egypt. 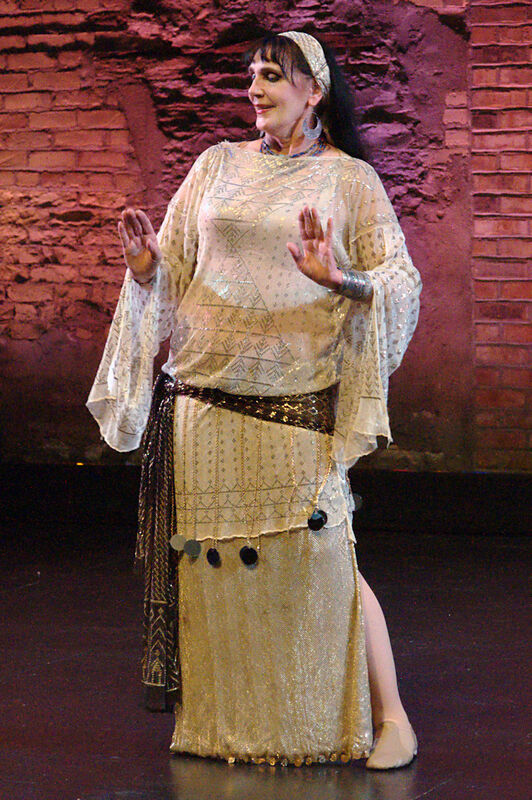 In order to fulfill her vision of placing the aesthetic of Middle Eastern dance on the theater stage to take its place with Western dance arts, she formed Jawaahir Dance Company in 1989. Cassandra is a pioneer in the development, education, and creative exploration in and about our dance form. Cassandra will present Technique Intensive, a non-stop smorgasbord of techniques and combinations that every dancer should have tucked away in their movement repertoire, ready for use at the drop of a hip. Riskallah currently maintains a robust schedule teaching Middle Eastern dance classes daily in Connecticut. In addition to working with students of all levels, she conducts master classes and special workshops nationally. She is the innovator of the acclaimed Teacher Training Course, "Footprints a Journey Toward Teaching Excellence." For more information on Riskallah Riyad, visit riskallahriyad.com. 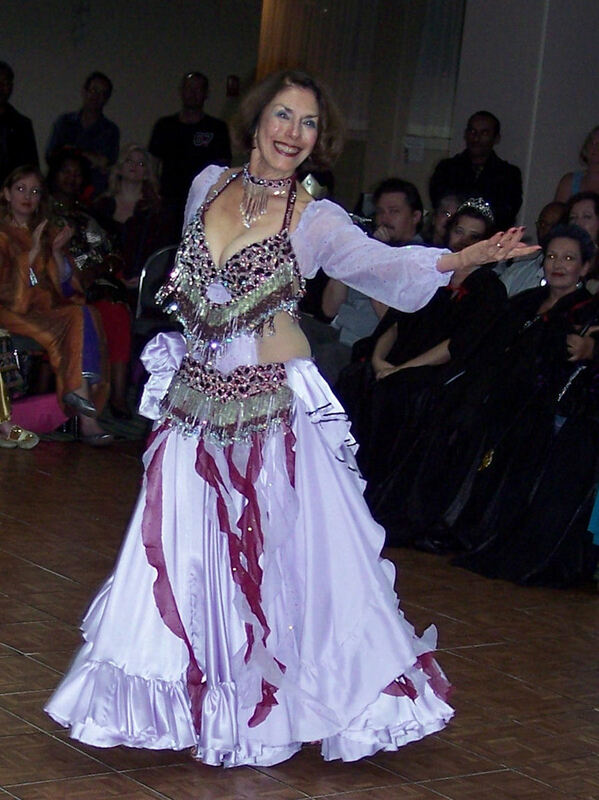 Chelydra has been a student of middle eastern dance since 1978, and began performing professionally in 1981. She was the artistic director of the Caravan East dance troupe from 1981-1997, and has performed and taught dances of North Africa and the Middle East at the award-winning Fields DanceStudio since 1985. A two-time featured cover artist and current contributing author to Zaghareet! magazine, she is also the producer of the No Frills series of instructional videos. In 2004, her Andalusian-Moroccan Romany choreography was one of the entries selected to be featured in the Old Dominion University Local Choreographer's Showcase, and in 2006, a ghawazee duet choreographed by both Chelydra and Aegela was chosen for showcase presentation. Chelydra presents authentic folk dances of the Middle East and North Africa along with modern folkloric fusion adaptations, including a tap-dancing melaya leff, a hip-hop khaleegy, and a techno ghawazee. She considers dancing to be serious fun. Chelydra will present Express It! Explore the possibilities of taking basic movements and modifying them to express a variety of emotions through the use of timing, posture, arm placement, and visual focus. The stars are out at the beach, and the stars are YOU! The evening dance party is a great time to try out your latest & greatest costume and choreography. Have you always wanted to try something just a little bit different - but never had the right setting? This is it! Be experimental! Be daring! Be playful! Time limit is seven minutes (but remember, less is sometimes more). Performing slots for the dance party are available on a first-come, first-served basis. Ten openings are served for returning performers, and six are reserved for new participants. THE POLICY FOR RETURNING PERFORMERS HAS CHANGED. Returning performers who were wait-listed at the last BBB are given priority through June 30th of the following year. Performers on the wait list will receive performance slots as they become available. Openings have become available as late as the day of BBB, so do not despair if you are wait-listed! To be fair to everyone, performers may only dance once (group or solo). You must register for the seminar to qualify for a place in the programme. 8:00-?? Dance Party Bring a snack to share! Beach Blanket Beledi is held at the Comfort Inn South Oceanfront at milepost 17 on the Beach Road in Nags Head, NC. For reservations, call 1-252-441-6315. Be sure to specify Beach Blanket Beledi when you call to get the special seminar rate! Room rates are $90 bay view/$105 ocean view for 1-2 persons. A limited number of King rooms are available for $105 (ocean view). Add $10 each for a third or fourth person. At the current time, room tax is 12.75%. Reservations must be cancelled 48 hours in advance, or a 1-night stay will be charged. Check-in time is 4 PM; check-out is 11 AM. No more than four persons per room are allowed by the local fire/safety code. The hotel is usually full over the holiday weekend, so call early to guarantee you get the room you want. Reserve rooms by Friday, 9/13/2019, or rate and availability are not guaranteed. The hotel frequently sells out over this weekend, so don't procrastinate. The nearest airports to Nags Head are Norfolk International (ORF) and Newport News/Williamsburg International (PHF). A rental car is required to reach Nags Head. The fee for the seminar and dance party is $80 if registration is received by 09/13/2017, and $90 after that date. Groups of five registering together receive a $5 per-registration discount. Additional dance party guests are $10/$2 (adults/children). [an error occurred while processing this directive] hit(s) since 11/22/2015.